Floods and rising sea levels have been an increasingly difficult issue throughout much of the world. Already in 2018, several cities have experienced floods so bad that they were considered 50-year, 100-year and 500-year floods. “Those seem to come more often than every 50 or 100 years,” said Mark Kruea, a spokesman for Myrtle Beach, S.C.
To combat flooding and other stormwater issues, Myrtle Beach installed four deepwater ocean outfalls — a stormwater system that transports rainfall 1,000 feet out into the ocean. The system runs underneath the beach and ocean. 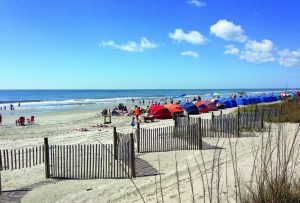 This system has effectively stopped flooding throughout Myrtle Beach, according to Kruea, and improved the ocean’s water quality while beautifying the beaches. The water is improved by diluting stormwater past the surf area. The city also implemented debris and oil catchers into the outfalls to help prevent any unwanted or harmful materials from making it into the ocean. 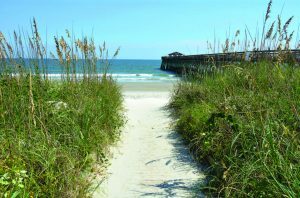 The beaches are more aesthetically pleasing because Myrtle Beach eliminated the need for several above-ground pipes that once ran across the beach and emptied stormwater into the ocean. For as effective as the deep ocean outfalls are, it takes quite a bit of money and effort to implement one — let alone four. One outfall can cost anywhere between $6 and $20 million, said Kruea. The city of Myrtle Beach has spent roughly $50 million since the early 2000s to install its four outfalls. 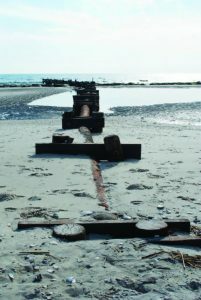 Other cities, such as North Myrtle Beach, have also been able to implement several outfalls, but smaller neighboring towns like Surfside Beach, with a population of roughly 5,000, cannot aff ord to install one. Over 25 years, Kruea believes that Myrtle Beach spent roughly $75 million on stormwater management. 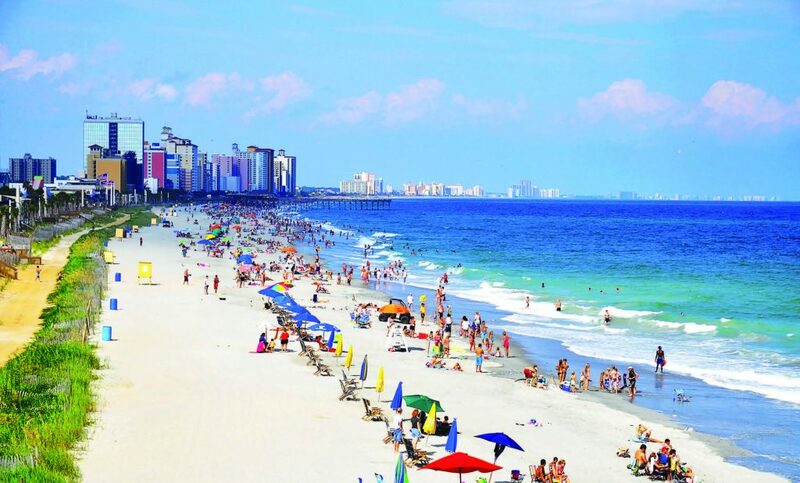 Myrtle Beach conducts regular water quality testing of the ocean and has discovered that water quality has improved since the installation of its four deepwater ocean outfalls. Another issue when it comes to deepwater ocean outfalls is that they will only benefit communities that have large bodies of water, such as an ocean or a Great Lake. In fact, Kruea admits that Myrtle Beach got the idea from communities in Virginia, which he believes came up with the idea for deepwater ocean outfalls. “We’re not opposed to borrowing a good idea,” Kruea said. Since Myrtle Beach has become more efficient at sending water into the ocean, he said they monitor the water levels and forecast frequently. So far, the city has not run into any issues. It also helps that Myrtle Beach constructs buildings farther from the water than it is required to. “Our setback from the beach is greater than the state of South Carolina requires, so we actually require the construction be farther back from the ocean than the state requires,” Kruea said. Going forward, Kruea said that Myrtle Beach is in the preliminary engineering stages of adding a fifth outfall because they’ve been incredibly effective.